Our Christmas Fayre is just around the corner and our own little elves are working tirelessly planning and organising the event. 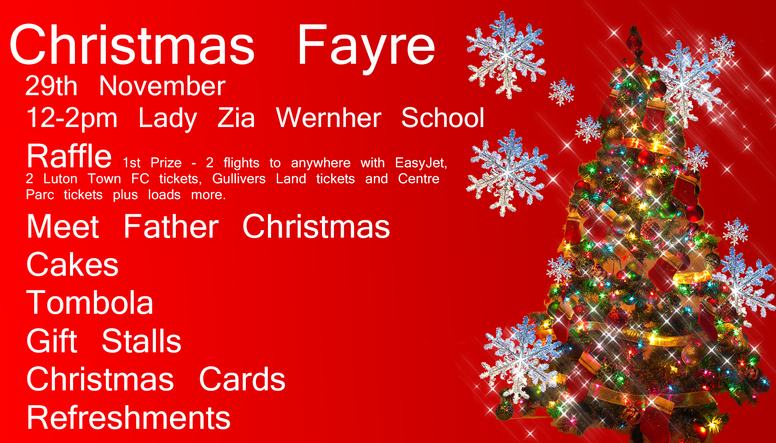 Our Christmas Fayre is on the 29th November between 12-2pm. Our helpers have managed to secure the appearance of Father Christmas and have been speaking to local businesses to get some wonderful prizes for our raffle. These include 2 flights on EasyJet to any destination from Luton Airport, a day family pass to Centre Parcs in Woburn, Luton Town FC tickets, a gift voucher for the Entertainer in town and tickets to Gulliver’s Land plus loads more. Thank-you to those businesses for being so generous. Tickets are available from the school and on the day at £1 a strip. Some strips will be sent home with your children so fill them in if you want any tickets. 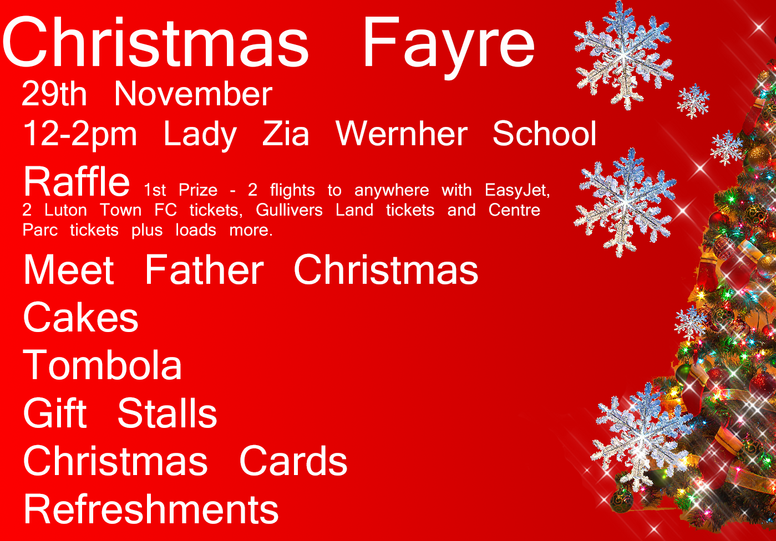 The Christmas Fayre is always a lovely event with people from the local community coming in to see what is on offer as well as current and pupils from previous years so we look forward to seeing everyone.